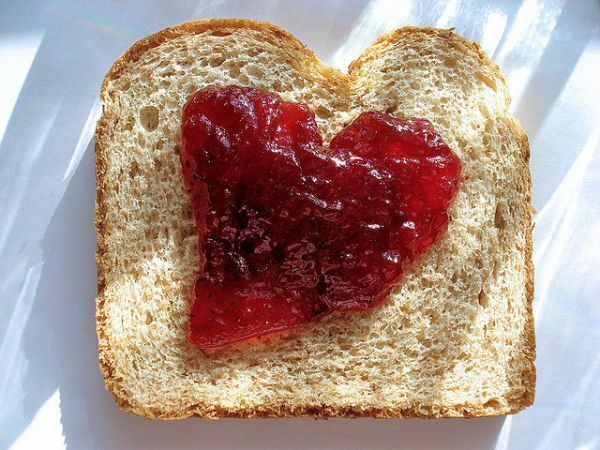 Jam Sandwich is how it sounds: A ridiculously awesome super sandwich of some favorite jams. You could say Joe is one piece of bread and that Ginny is the other piece, working in concert to hold together some of the freshest ingredients the radio has ever tasted. Simply put, Jam Sandwich is a collaborative effort to share with the world the constant flow of songs and bands that characterize the lives of the two host/producers. Recorded directly to cassette tape, Jam Sandwich upholds the values and aesthetics of the traditional mix tape. The hosts hope that the content of the songs outweighs the quality of the recording and that the DIY production out-values occasionally awkwardly improvised song introductions. About the series, Ginny writes, "We hope that these songs impact you like they have impacted us. We hope that after listening to our Jam Sandwich that you become inspired to make a mix tape of your own."